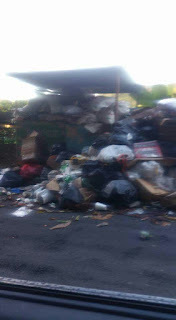 Recently we have seen an upsurge in comments and concerns about the indiscriminate garbage dump sites throughout the length and breadth of Dominica. While it is felicitous to lay the blame on the incompetence of the DLP government and it's Solid Waste Corporation,it is equally important to recognize the significance of the apathetic behavior of the media towards the atrocious garbage management system in Dominica. 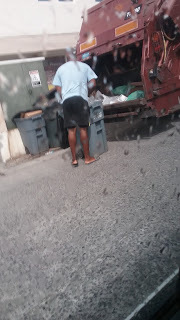 In March 2017 we wrote an article entitled "MONEY FOR GUYS ON THE BLOCK BUT NO MONEY FOR UBIQUITOUS PILES OF GARBAGE " we reported on the garbage crisis in Dominica. In February 2017 we found out from the people on the ground that there was an improvement in the garbage collection routine during the month of February. Needless to say it was the carnival season and as usual the government needed to create another smoke screen to hide the garbage embarrassment from the many visitors to Dominica and so the government threw some NEP employees at the garbage problem. In addition, the government had received two garbage trucks from the Japanese government early in the month of February 2017. In spite of the perceived improvement in the garbage collection, the garbage situation was still a jaw dropping experience. We saw piles of garbage chocked inside of bus shelters, garbage piles in towns and villages, along the main thruways to and from the airport, in and out of the city of Roseau. In one instant we came upon a location right next to a public school where flies and rodents were feasting on a pile of garbage. WHERE IS THE MEDIA AMONG ALL THIS GARBAGE ???? It is one thing to ignore the cesspool of corruption and the bribery that encompasses the DLP government but to pay a blind eye to an escalating garbage pollution problem is to show total disregard for life and health. Garbage pollution is the main cause of a number of bacterial diseases to include typhoid, malaria, cholera, gastrointestinal disease - just to name a few. One can well understand why the Carnival Cruise Line was so concerned. It is mind boggling that with the exception of Matt Peltier's talk show, the other media professionals in Dominica have remained silent on the matter for so many years and so far have refused to hold the government responsible for such callous behavior. In a DNO article last week it was stated that the garbage problem “was brought to our attention”- Are you kidding? 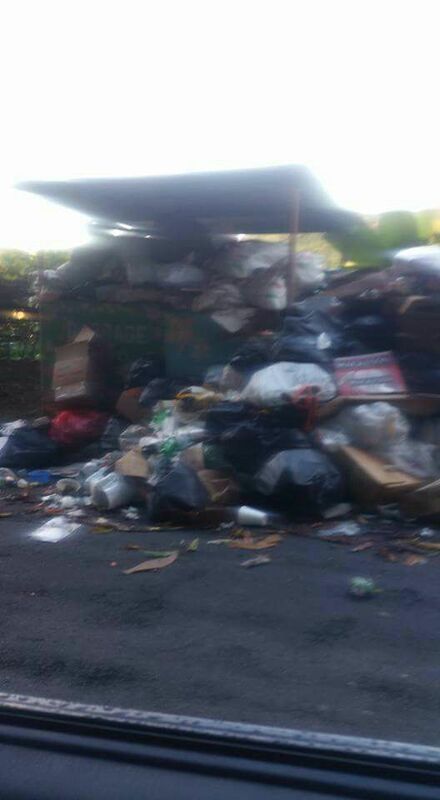 there is an a omnipresence of garbage piles all over the island -nobody can miss this monstrosity and health hazard yet someone had to inform DNO of the Garbage crisis in Dominica. When government is allowed to operate behind tainted windows, red curtains and closed doors, it plummets out of control and those elected to serve government becomes unresponsive to the public. How can a responsible media remain quiet when the government continues to squander public resources on vote buying schemes whereas the same government can’t fulfill basic functions such as waste management and health services. The irony of it all is that while the government is showing such a callous disregard for the proliferating garbage pollution, the health system is severely lacking and is in no way prepared for an outbreak of viral disease that may arise from this garbage crisis. The modus operandi of the Roosevelt Skerrit government is to control information and dissent and they have done very well in that respect. Mr. Skerrit and his goons have disemboweled the media in Dominica so much so that the media dare not call out the government on this garbage crisis. Also, the people in charge of the institutions of accountability prefer play the part of Richard Pryor and Gene Wilder in “See No Evil, Hear No Evil.“ The Solid Waste Corporation (SWC) which is responsible for the garbage collection can only regurgitated excuses and promises, all to protect a government administration that has not held up to it's responsibility. But what else do we expect from the Solid Waste Corporation particularly when the key players are either too busy figuring out how to get In and Out of "Kenya" or they are too preoccupied with protecting their own interest and that of a political party. While the media and institutions of accountability are pretending to be asleep the ubiquitous garbage sites continue to intensify and the people of Dominica are staring at potential outbreaks of bacterial diseases. Should there be an outbreak of diseases let it be known that unlike the people of Egypt (Exodus 12:13) the plague shall not bypass the homes of those who wave red flags or glorify Roosevelt Skerrit. 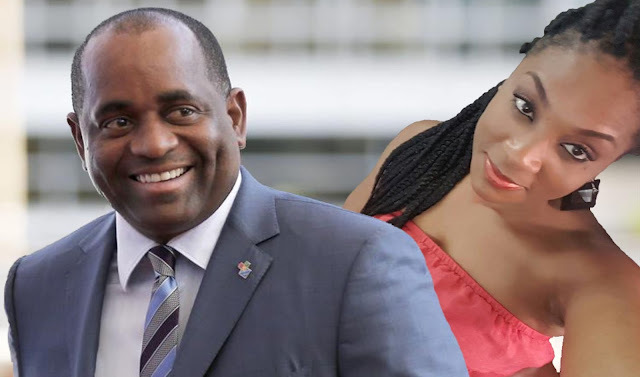 In order to keep the Roosevelt Skerrit administration accountable to the people of Dominica we want to encourage "patriots journalism"- take to social media and expose the garbage that we get out of the Roosevelt Skerrit administration.